Do you consistently look more serious or angry than you intend? Do you look in the mirror and see drooping eyebrows, deep frown lines between your eyebrows and wrinkles across your forehead? 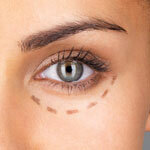 These features can make you look much older and more serious than the youthful, fun person you are. But tugging at and pulling your brow won’t make it go away. Let the board-certified experts at Celebrities Choice help you improve the appearance of your forehead and brow line and help you look and feel younger, and more carefree. It is very common for an upper eyelid lift to be performed at the same time as a brow lift, to save you recovery time and money. However, our consultants will listen to your concerns and honestly assess surgical and non-surgical options to create a customized procedure just for you. Call us at (407) 629-4100 or send us an email at Contact@CelebritiesChoice.com. We will answer any introductory questions you may have and can schedule a private consultation for you with one of our board-certified plastic surgeons at Celebrities Choice in Orlando, Florida. You will feel at ease with our honest consultants as you review your options and become educated on the benefits and risks of cosmetic surgery. Our surgeons are extremely knowledgeable and experienced with surgical and non-surgical options, and will take time to help you determine what is required for you to look and feel your very best.